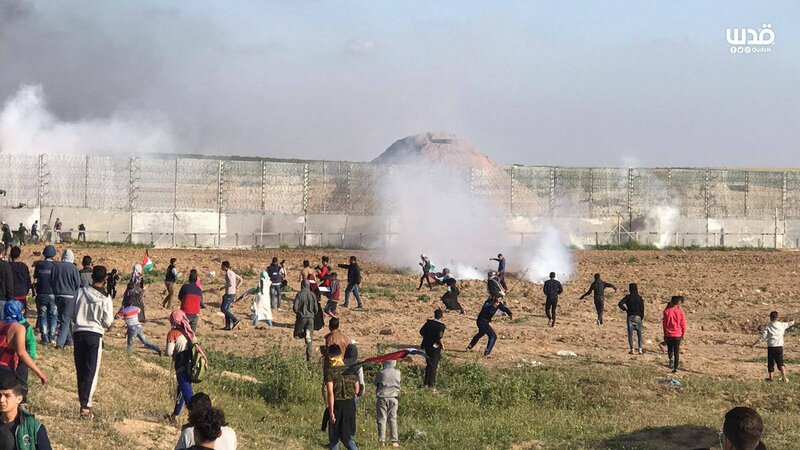 The 53rd main Great Return March in the besieged Gaza Strip on Friday April 5th was attacked by Israel’s occupation forces with its usual arsenal: Mainly live bullets and tear-gas grenades, with limited use of rubber-coated steel bullets. There was one ‘novelty’ in the form of tear-gas whose fumes were coloured red and yellow. There are reports inhaling this particular form of tear-gas would have led to convulsions in some of those who came into contact with it. This is not the first time that convulsions and possible long-term neurological damage have been reported as a result of Israeli tear-gas during the Great Return March demonstrations, so the ‘novelty’ may be connected to the colour alone. Up to 109 people were wounded in the Israeli attacks, with 56 being hit by live bullets or shrapnel, 47 were hit by tear-gas grenades which Israeli occupation forces launch as high-velocity volleys, and 6 people were hit by rubber-coated steel bullets. Three of the victims suffered serious injuries. 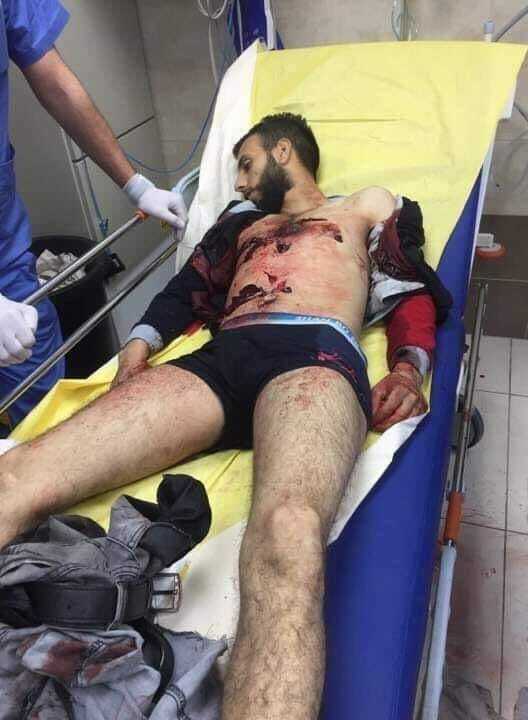 There is one source (@paldf) which reports a teenage boy was revived three minutes after his heart had stopped beating as a result of being shot and wounded by an Israeli occupation forces sniper. Among those wounded are said to be 30 children, 6 women and 2 journalists. Up to 282 people have been killed by Israel’s regime during protests in the besieged littoral enclave since the beginning of the Great Return March on March 30th 2018. Israeli occupation claims that it killed one and kidnapped two young men, wounding one of them, late on Wednesday April 3rd after they would have crossed the border from besieged Gaza Strip to ethnically cleansed Palestine 1948. The three young men, whose identities are unknown, would have crossed the border apparently in southern part of the small littoral enclave, after which at least two of them would have been shot by Israel’s occupation soldiers. One of them would have suffered critical injuries, another moderate ones and the third individual was either unharmed or suffered light injuries, depending on the source reporting. The first two persons would have been air-lifted to the Soroka medical center in ethnically cleansed city of Beersheba, south of the occupied West Bank, in Israeli occupation narrative. The critically wounded individual would have been either declared dead on arrival or would have died soon after arrival, succumbing to his wounds. Israeli occupation claims that the youths would have had ‘knives’ and would not have obeyed command to stop by soldiers – the standard Israeli cliché of Palestinians armed with knives slowly walking to their deaths towards Israeli occupation forces like World War I soldiers in the Western Front. 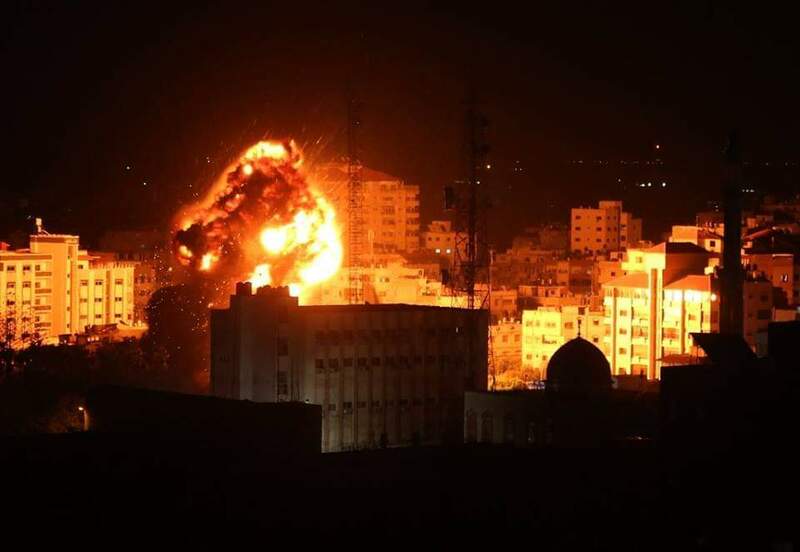 Palestinian sources have not confirmed the incident, but there is no reason to suspect that it wouldn’t have taken place; whether the Israeli occupation narrative is correct is suspect until further information is released. 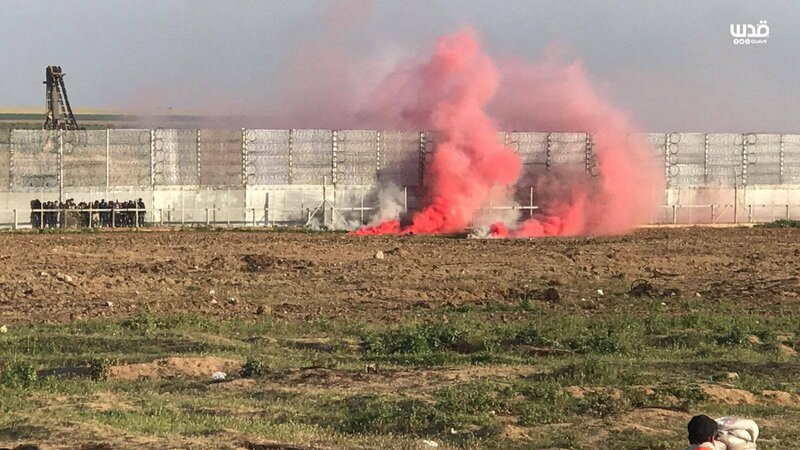 On Thursday April 4th Israel’s regime destroyed the Bedouin village of al-Araqib in the Negev for 142nd time, demolishing structures and tents on the site. Israel has refused to recognize the village and its inhabitants right to the land, which they have owned since the Ottoman times. The local cemetery on village land was built in 1914. Israel has forbidden the villagers from living officially on the site since 1951, when the population was around 400. Local leaders have been imprisoned and villagers fined for their steadfastness which sees them rebuild basic residential shelters on the site before they are again destroyed by Israeli forces. The demolitions take place sometimes each month, sometimes every second month and they have gone on with this regularity since July 27th 2010. Agricultural fields belonging to the villagers started to be destroyed by Israel in 2000. The previous time the village was demolished was on February 7th. The village of al-Araqib is one of 34-35 unrecognized villages which Israeli regime intends to destroy, forcing the inhabitants to move segregated townships which lack services and jobs – and voting sites in the coming Knesset elections. Writing in Haaretz on March 24th the Israeli journalist Amira Hass revealed another extrajudicial execution of injured Palestinians by Israel’s occupation forces’ soldiers. On March 4th Israeli occupation soldiers shot and killed two young Palestinian men, Amir Mahmoud Daraj(20) and Yousef Raed Anqawi(24), in the West Bank village of Kufr Nimeh after their car had hit two Israeli occupation forces’ members, causing them moderate injuries, before colliding with an armoured personnel carrier that had suffered a malfunction and was stranded on the road. The incident took place at 03:30 am in a very bad weather, it was still dark, there was heavy fog which limited visibility even more and the road was wet and slippery after rain. The men were on their way to work in a bakery. 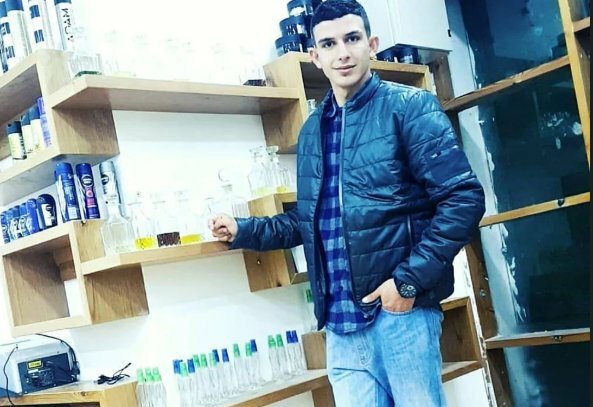 Israeli occupation claimed that the incident was ‘a car ramming attack’ and paraded ‘a confession’ it was claimed had gotten from the only survivor, Haytham Basel Alqam(20), who suffered injuries from the crash itself and was not shot. Hass reveals that the ‘confession’ was result of him being put in jail in presence of Arab collaborators who pretended to be fellow prisoners and who had apparently manipulated him. More importantly Hass reveals that Israeli occupation had not told that all the shots fired by occupation forces’ members had come after the incident, and except one, minutes after it. One shot came 10 seconds after the car had hit the armoured personnel carrier. The next six shots came 4 minutes and 30 seconds later, then 20 seconds later came two more shots, then 30 seconds after those came one, final shot. 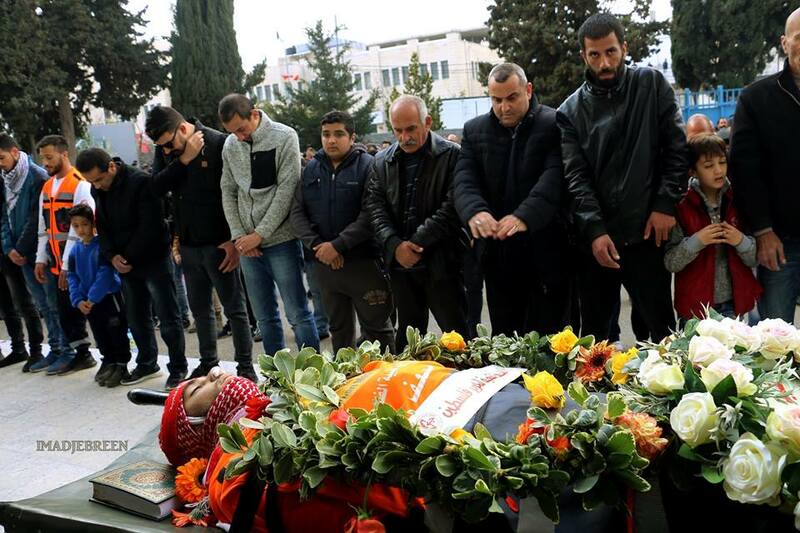 This tells a story of extrajudicial executions – a double murder of the victims, who were painted as ‘terrorists’ by Israel’s occupation forces, who claimed that they had thrown previously ‘firebombs’. Instead the real story is one of a war crime which Israel’s occupation forces and regime are trying to hide: A brutal killing of two young men, with the survivor destined to be imprisoned while murderers in occupation uniforms will stay free, their impunity an example for others to follow.